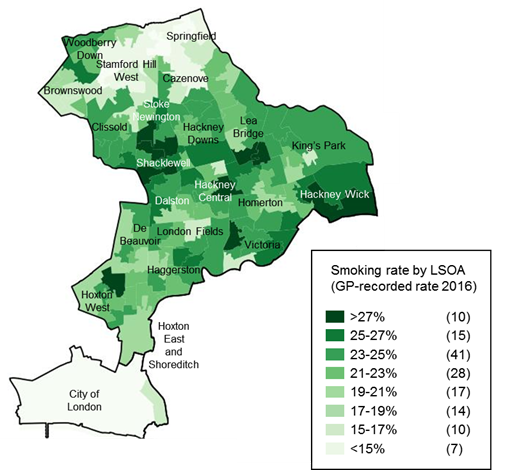 Figure 1 shows there are comparatively low rates of smoking recorded by GPs in the City of London and the north of Hackney – with the exception of Woodberry Down in the north west of Hackney, which has similar smoking prevalence to most of the rest of the borough. Notes: Data covers City and Hackney residents registered with a GP in Hackney, the City of London, Tower Hamlets and Newham. Rates are shown by Lower Super Output Area (LSOA). These are neighbourhoods of around 1,500 people used for statistical purposes. 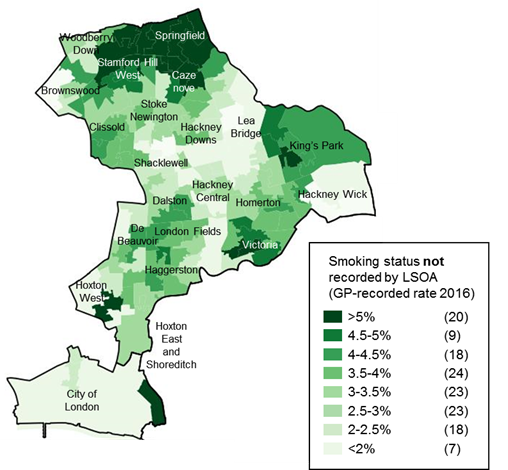 Figure 2 highlights a potential need in the north of Hackney for GPs to improve the recording of patients’ smoking status – comparatively lower rates of recording of adult (16+) smoking status are shown in this area. Similarly lower rates of recording of smoking status are also shown in the Portsoken area in the east of the City of London.